April Exhibition Alert: “Colours of Spring? Next month, Saturday 8 April, sees the opening of my “Colours of Spring” paintings exhibition at Inchmore Gallery near Inverness (Google map). There’ll be an opening event in the afternoon and everyone’s invited! 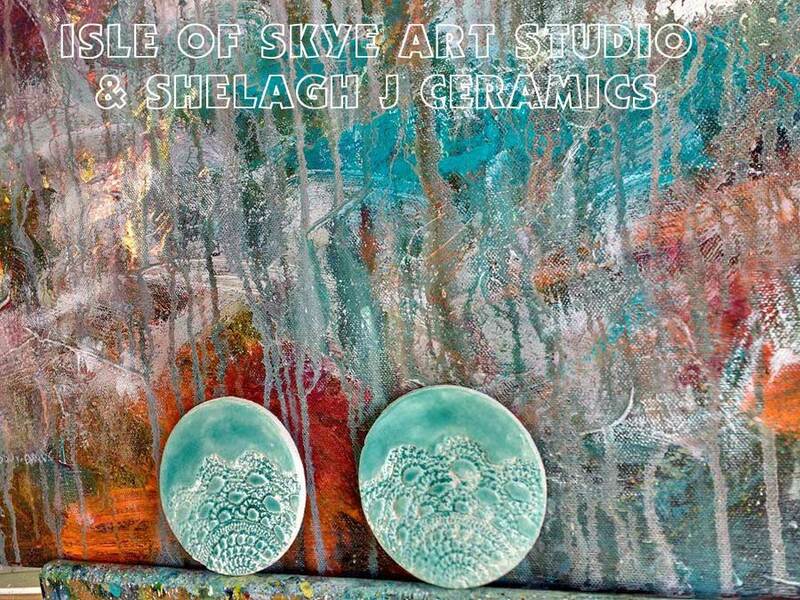 Alongside my paintings there’ll be work by three other Skye makers: the intricate chainmaille jewellery by Alistair (my significant other), the stoneware of Namdoog Ceramics and the earthenware of Shelagh J Ceramics. I’ve a couple of Shelagh’s coasters in her beautiful aqua glaze in my studio, and the patterns in them always make me think of waves and seaweed. I will have photos of my paintings on my website once the exhibition is open. Right now I’m finishing a few paintings, varnishing, painting edges, deciding on titles, taking photos, and all those other things that are essential but less fun than painting.